Online ordering menu for Takara Asian Bistro. 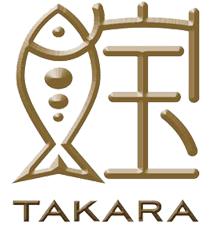 Welcome to Takara Asian Bistro where we serve delicious Thai and Chinese cuisine. Our menu features Spicy Mango Chicken, Thai Curry Shrimp, and Chicken Satay. We also serve sushi, noodles, and bento boxes! Find us on Valley Rd between Lorraine Avenue and Bellevue Avenue. We're near Anderson Park and Sunset Park. Order online for carryout or delivery!